In this age of fast and frozen foods, we want to teach school children about real food-where it is grown and how it is produced-so they can develop an understanding and appreciation of how good, fresh food is supposed to taste. We’re creating a recipe for success by bringing the ingredients from local farms and chefs to classrooms across America. AIWF Days of Taste® is a national interactive program that was modeled after a successful French program known as Journée de Gout. 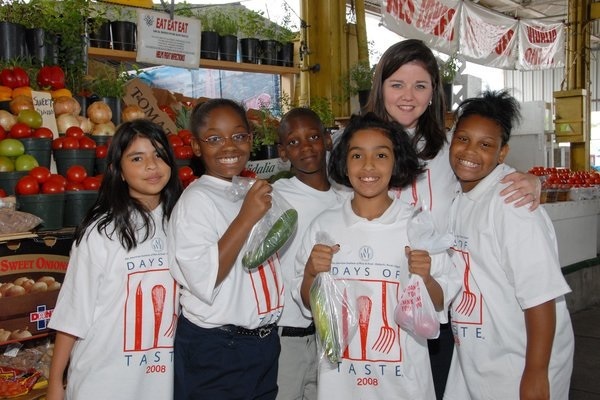 AIWF Days of Taste® activities bring chefs and farmers into fourth and fifth grade classrooms to teach students in an engaging way about the importance of fresh food and how ingredients weave their way through daily life, from farm to table. Known as the signature program for AIWF since 1994, we pride ourselves on reaching out to thousands of children each year. Our focus and main objectives are to build a food and nutrition vocabulary, understand that locally grown ingredients are the freshest, and gain the experience to contrast flavors and develop taste memories. 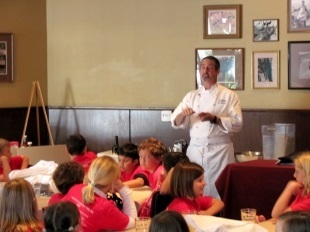 Each chapter develops its own unique program, but they all share the common thread of encouraging children to appreciate the taste of good, fresh, local food. Students compare and contrast tastes and textures as well as develop understandings about different foods and basic nutrition principles that will remain with them into adulthood. This is vital for the future of our nation’s children, for our organization, and for preparing better adult consumers. We’re not just nourishing our youth – we’re nurturing the AIWF members and leaders of tomorrow. Video clip of Chef Paul Buchanan from Primal Alchemy, AIWF Orange County on Long Beach AIWF Days of Taste® program. Click here to see video. 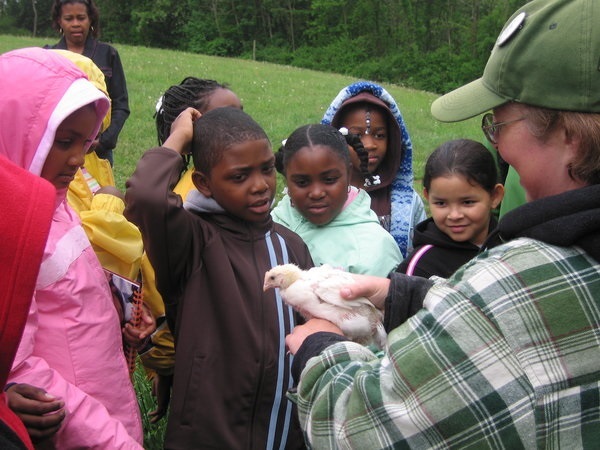 Students from Hebbville Elementary School in Baltimore Country learn first- hand about roaster and breeder chickens from farmer Valerie Lafferty at Springfield Farm. Click here to see the video.